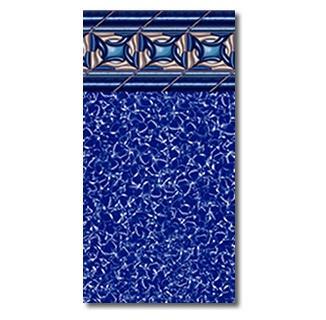 Upgrade from an overlap pool liner with this Unibead/J-Hook pool liner in a deluxe designer pattern! Unibead pool liners are EASIER to install then overlap pool liners; and allow you to have the beautiful designer border usually found only on beaded-type pool liners. FREE SHIPPING! 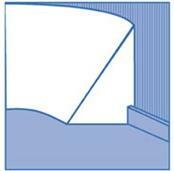 Pacific Diamond Uni-bead pool liners are available for 48", 52" and 54" pool walls. BEAUTIFUL POOL LINER EASILY INSTALLS ON BOTH OVERLAP AND BEADED TYPE ABOVE GROUND POOLS! Upgrade your overlap-style pool liner with this deluxe pattern! 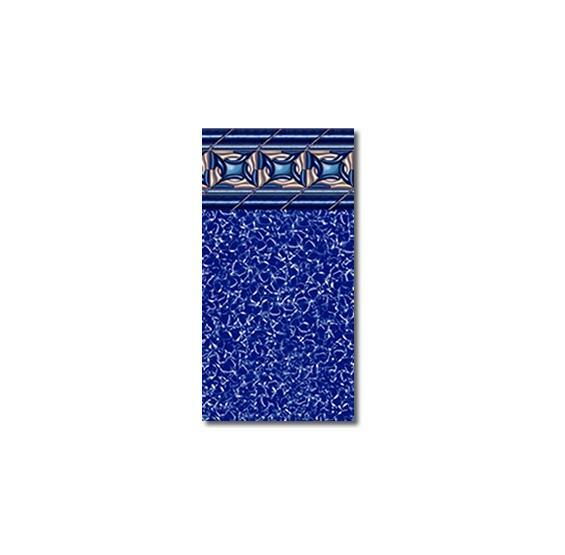 Unibead/J-Hook pool liners are EASIER to install then overlap pool liners; and allow you to have the beautiful designer border usually found only on beaded-type pool liners. The pool liner's Unibead/J-hook simply slips over the top of your above ground pool wall and hangs straight and securely into your pool. 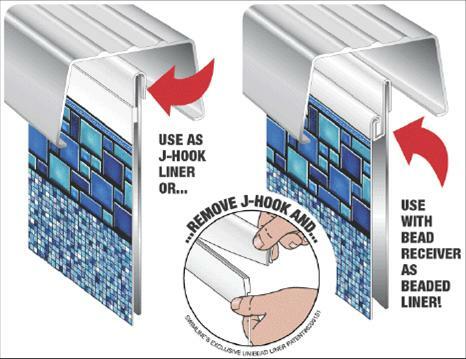 Our unique J-hook (uni-bead) pool liner will also fit pool walls with bead receivers. 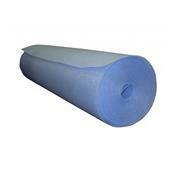 Our Pacific uni-bead pool liners are constructed of top-quality standard gauge virgin vinyl and loaded with U.V. inhibitors to make our pool liners last for years and years. Our Pacific uni-bead/j-hook pool liners are backed by a 15-Year Warranty, and available in 48", 52" or 54" depths.